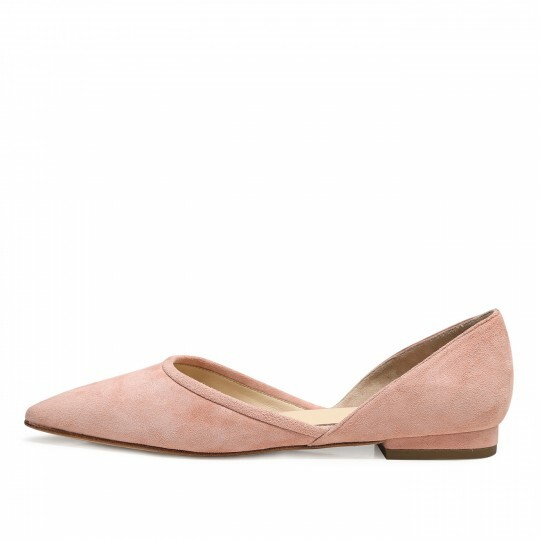 BIANCA Pointy Ballerina is a flat shoes crafted in texturious lambskin suede together with genuine leather insole and outsole. The streamlined V-shape sculptured in pointy-toe upper is a highlight to the style. Heel Height: 1.5cm / 0.6"
BERACAMY finely selected lambskin suede leather and lambskin leather.